This tutorial originated in the Embedded Systems lecture, a graduate course taught at the Department of Information Technology and Electrical Engineering, ETH Zurich. It requires basic knowledge of C-programming and embedded systems and should give an overview of the capabilities of networked embedded systems and their key properties. Apart from usage in the lecture it is a basic introduction to programming on the BTnode platform. 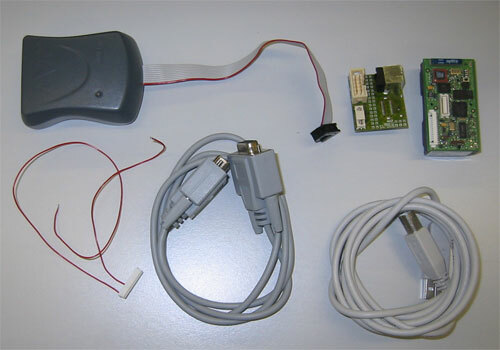 To be able to do the practical exercises in this tutorial you will need a BTnode developer kit consisting of a BTnode rev3, a usbprog USB programming adapter, an Atmel ATAVRISP programmer, a serial and a USB cable, a 15-Pin Molex breakout cable and the software, documentation and tools contained on the BTnode CDROM. 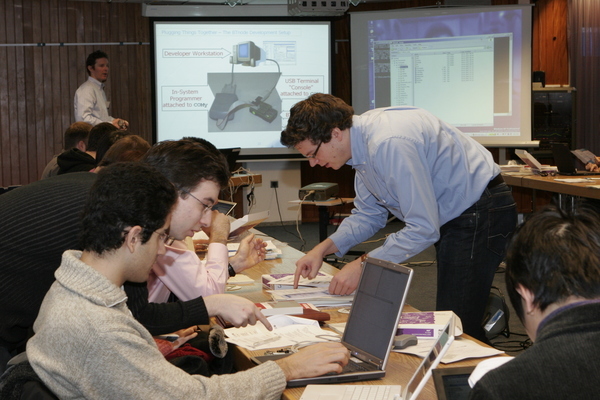 The tutorial was presented by Jan Beutel at ASCI 2008. The tutorial was presented by Jan Beutel at INSS 2007. In excess to the EWSN 2007 tutorial this tutorial also covers how to interface BTnodes and Bluetooth enabled cell phones to send simple text messages. 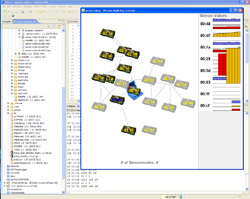 The tutorial was presented by Jan Beutel at EWSN 2007 and introduces excerpts from the BTnode Programming tutorial in a compressed form. This allows you to get a first insight into real wireless sensor network application building and to explore the world of BTnodes in well under a day. 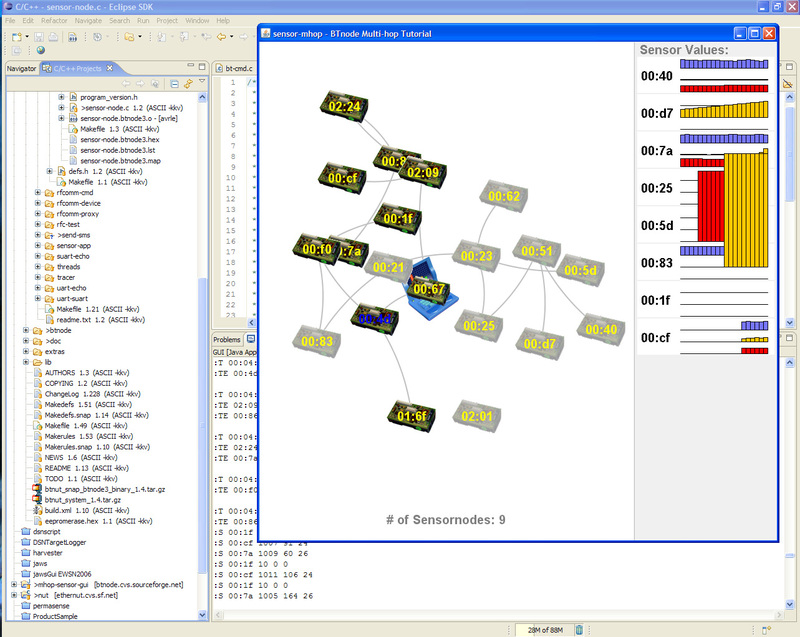 Impressions of the EWSN 2007 tutorial.